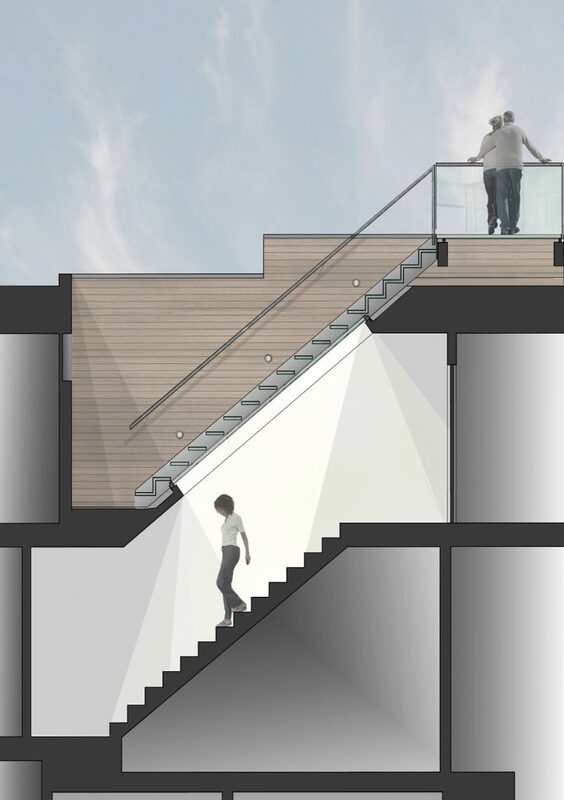 Three adjacent condominium units in Russian Hill are expanded to add a stair and roof deck for each unit. 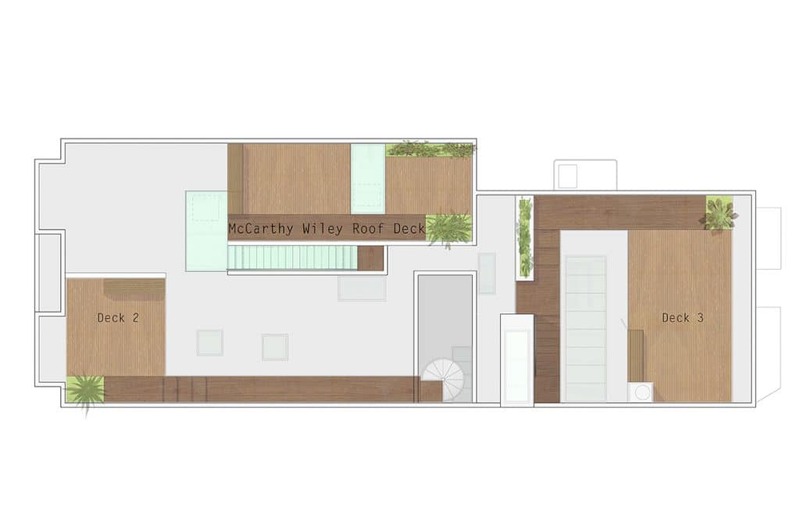 In one unit, the Mc Carthy Wiley Residence, the design is comprised of a glass stair, a glass landing, and two outdoor “rooms” woven together by a circulation spine. 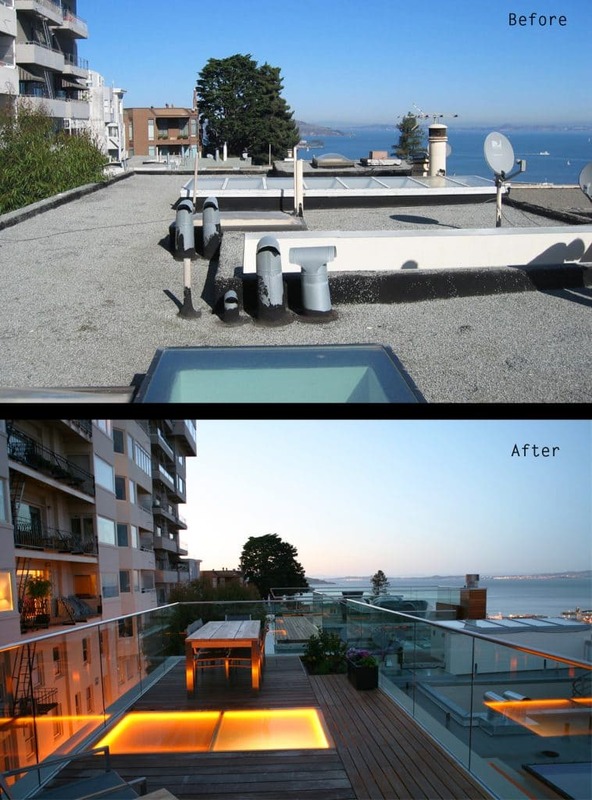 The clients’ requests included adding a roof deck onto their unit without sacrificing light into their existing skylights. 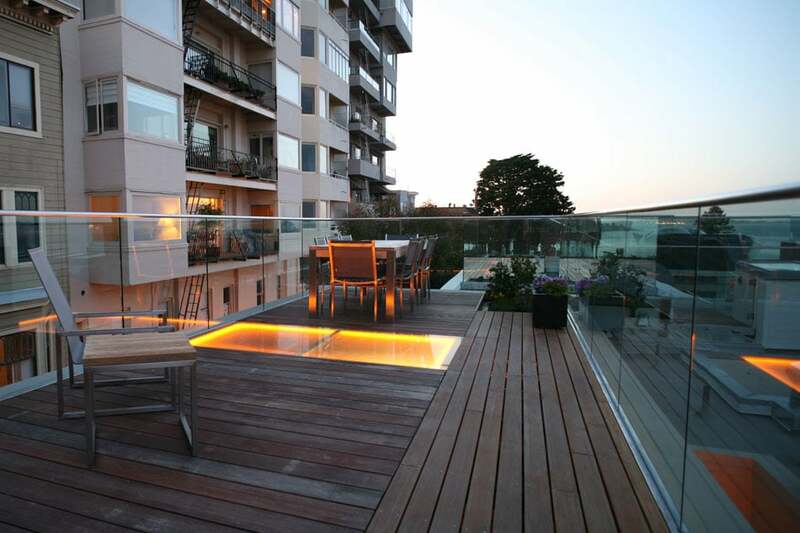 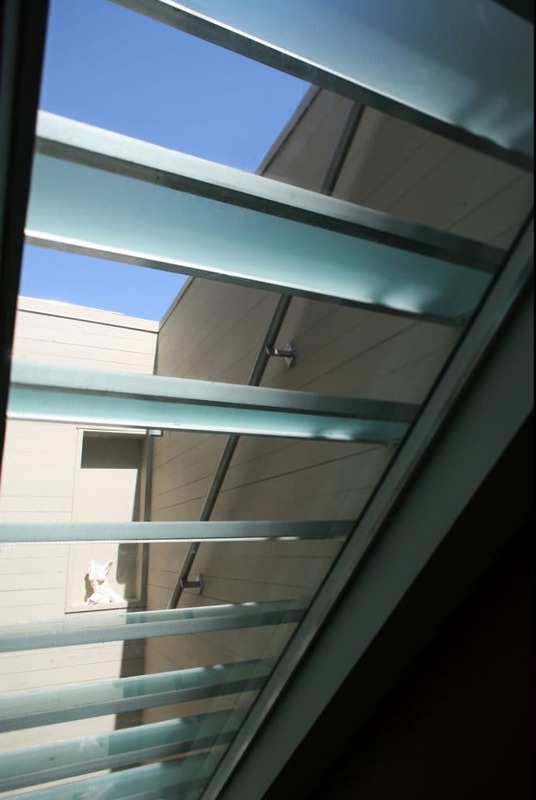 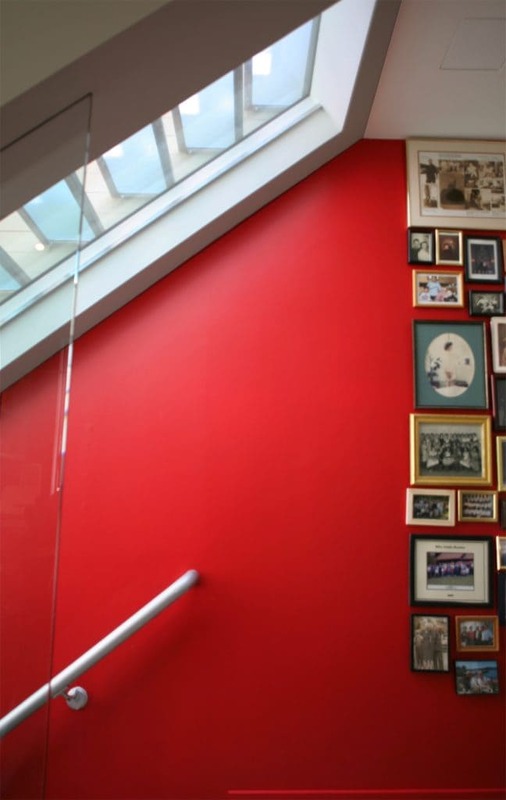 This led to a solution in which glass decking fields were aligned and sandwiched above the existing skylights. 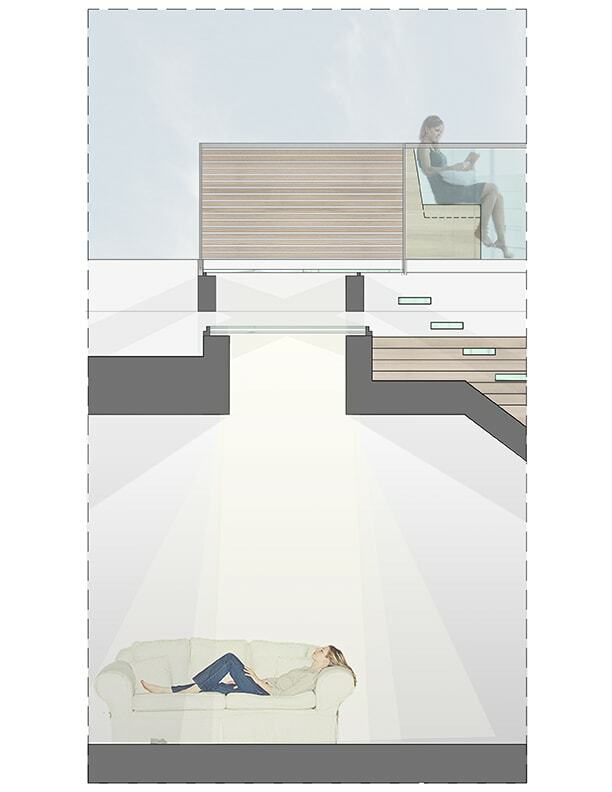 A glass decking system was developed to create the appropriate luminosity and level of privacy for the interior rooms. 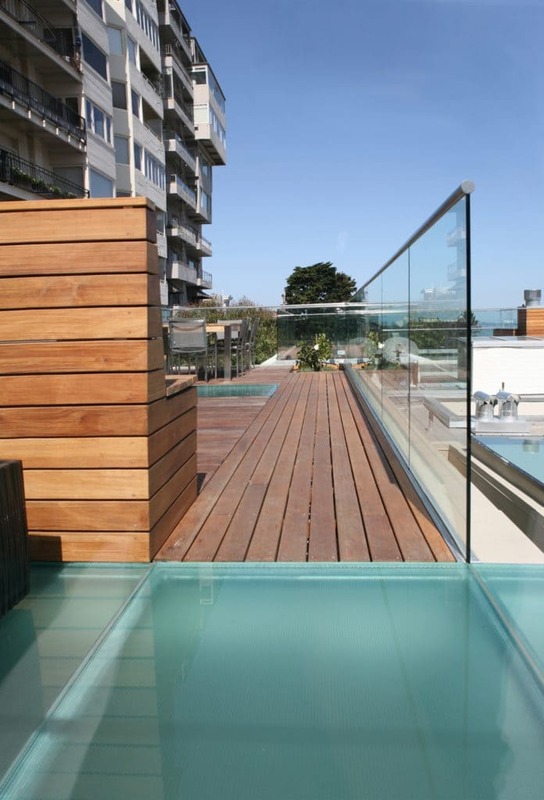 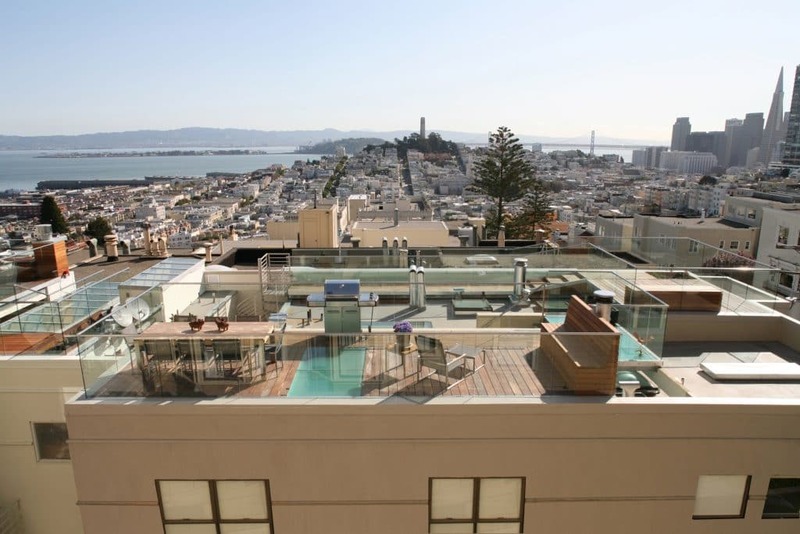 Clear glass rails surround the deck, allowing the deck to dissolve into the panoramic views of the San Francisco Bay.